A daily run can be great for your health and fitness, but it can actually be harmful too if not done properly. 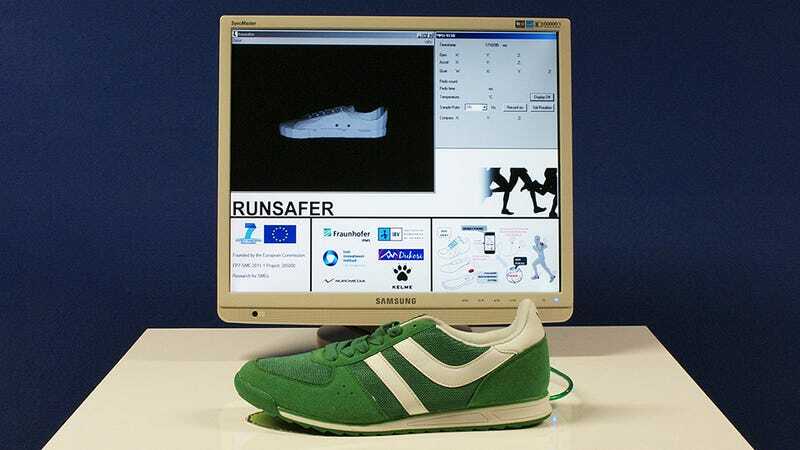 Of course the right shoes are an important part of the formula, especially this sensor-laden pair developed by the Fraunhofer Institute which provide real-time feedback on your running style, and how to improve it. So what makes these sneaks so smart? Built into their sole is a biometric sensor working alongside an accelerometer and GPS hardware. Together they collect data on the runner's speed and technique, and transmit it to a smartphone app via Bluetooth which analyzes the information and makes suggestions to improve the wearer's running style or routine.